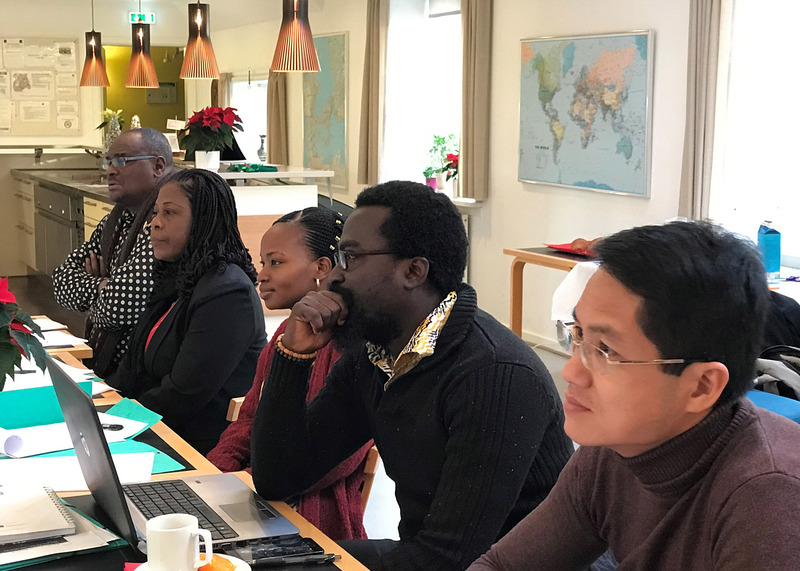 Danida Fellowship Centre (DFC) convened the first joint Danida/Denmark Alumni Network workshop at DFC’s premises in Copenhagen on 10 – 14 December 2018, with representatives from the six established local alumni networks in Ghana, Vietnam, Uganda, Kenya, Tanzania, and Burkina Faso. 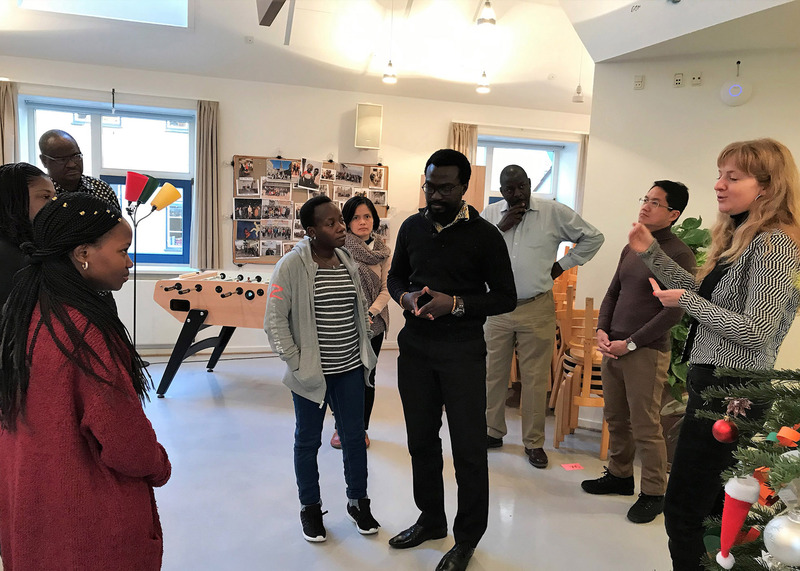 The theme of the workshop was “Sharing Ideas and Learning Lessons”, with a three-day programme dedicated to strategy development, goal setting, sharing good practice and activity ideas, and agreeing our common focus for 2019. The local networks were represented by a combination of their Chairperson, Vice Chair, Coordinators and/or Advisory Board Members. Effectively mobilising alumni across different regions: What works? Engaging with different alumni segments: How to stay relevant? We are hereby delighted to share a summary of the rich discussions and key take-aways from this event, including participants’ ideas and suggestions going forward, as well as key lessons learned so far in the development of local alumni networks. Local DAN network representatives from Burkina Faso, Ghana, Tanzania and Vietnam. Please note that the below summary does not delve into the details of each individual programme item listed above, but instead provides insights into key messages and points for consideration coming out of the workshop under the following cross-cutting and reoccurring themes: 1) Long-term goal: Denmark Alumni Network, 2) Consolidating and expanding the network and 3) Networking with Danish stakeholders. DFC will continue to recruit candidates among Danida alumni, who feel both professionally and emotionally attached to DFC and Danida. 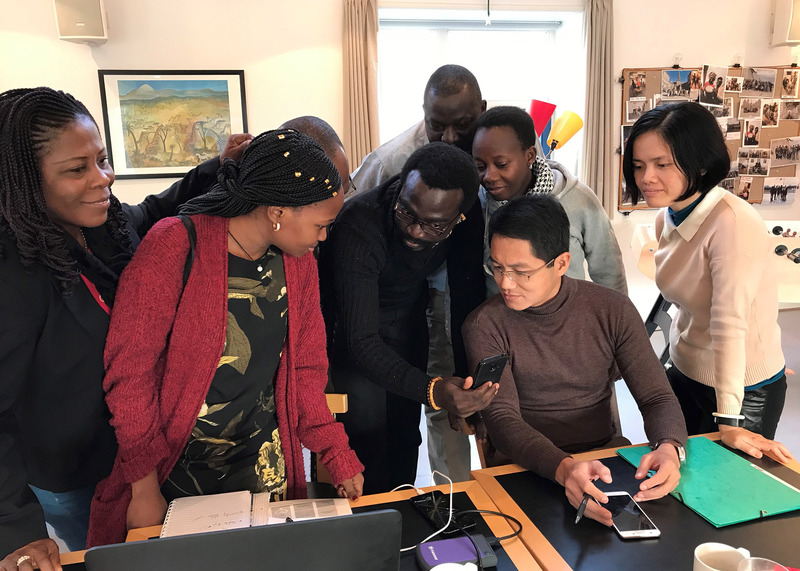 However, it is our assessment that the alumni network would be more attractive if it reached beyond DFC and Danida to include alumni supported by other means to receive training in/from Denmark. Some of the existing national/local alumni networks (i.e. Vietnam and Indonesia) already incorporate alumni funded by other sources than Danida. This contributes to the creation of a broad and inclusive network. 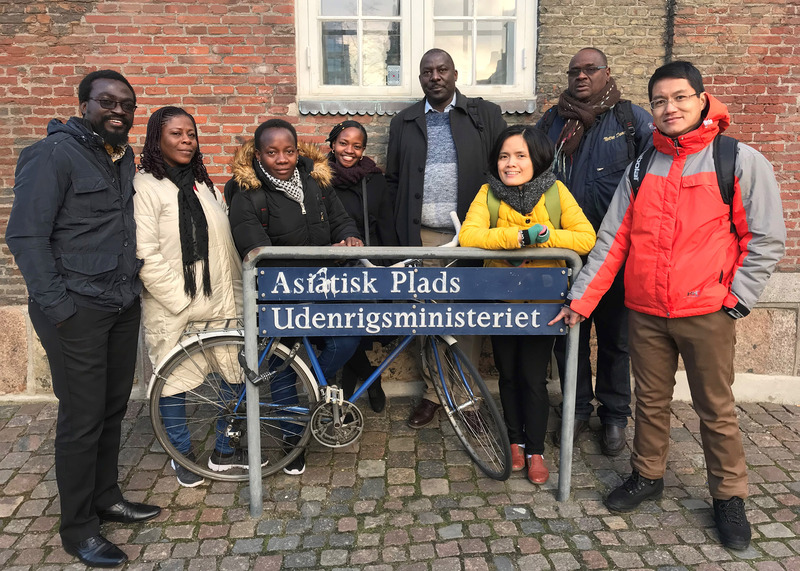 As the alumni network is funded by the MFA and developed in line with current foreign policy priorities, the target group will currently remain the same: Alumni from Danida’s former and existing partner countries. However, our longer-term aim is to develop an all-inclusive international strategy. Such a strategy would echo similar initiatives in Denmark’s neighbouring countries, with the ultimate aim of reaching students across the globe i.e. beyond Danida’s priority countries. This would be realised with co-financing from other relevant actors, potentially including the Ministry of Higher Education and Science and the Ministry of Culture. From 2019 we will start taking steps towards renaming networks as ‘Denmark Alumni Network’ instead of ‘Danida Alumni Network’. Always remember that the network is a collective. Individual priorities matter and must be catered for, but mutual interests and goals must remain the network’s foundation. Importantly, the network should not be reduced to a fundraising or aid/grant-driven organisation. There will usually be means for scaling good initiatives, ideas and projects. Common goals, objectives and values must be defined for all alumni members, along with the digital and social platforms being expanded to cater for a Denmark Alumni. A standardised global brand name will be needed for DAN, and DAN activities will need to be systematically promoted. Alumni, who received training through DFC, should maintain their shared identity upon being integrated into the larger group. If done correctly, we avoid existing Danida network members feeling invaded and new members feeling unwelcome. Maintain the current areas of focus and expand when necessary, responding to changes in the international development agenda as well as local realities. Conduct regular knowledge sharing sessions involving different local networks to help strengthen and maintain a common identity and relevance (i.e. in line with DFC or Denmark strategic sector support). Participants engage in one of the many open conversations facilitated as part of the workshop. There remains work to be done in terms of refining and defining our shared vision for the network (both globally & locally), as well as on articulating our common understanding of what we stand for and offer. Efforts have already been made to identify the interests, wishes and key priorities of all stakeholders, and the next steps will be to establish ways to effectively manage and sustain the network across a variety of themes in an innovative manner. When it comes to establishing national network management structures, the most appropriate approach will depend on the local context and what has been proven to work there. It is also recommended to draw on good practice from networks in other countries. Denmark’s embassies are our focal Danish/MFA representatives in country,. It is therefore helpful to collaborate with them in support of outreach efforts. This could for example take the form of developing fliers for visiting alumni, in conjunction with publishing posts about our activities on the embassy’s Facebook page. Such awareness-raising efforts will allow us to reach alumni, who we don’t already know. We encourage the use of innovative mobilisation mechanisms to underpin wider publicity of alumni activities as part of attracting and recruiting new members. Finding out what members’ key interests are and subsequently incorporating these into planned activities will also support member recruitment and retention. To stimulate active membership, it is helpful to identify key alumni in different regions / provinces and engage them in the national alumni board. This way they can actively implement and lead local activities for the benefit of members in their own region. Segmentation of members by interest area will also allow us to target sub-groups of alumni in the most relevant way and thereby stimulate network engagement. All alumni have their own personal expectations, and developing an understanding of these will support the development of relevant sub-groups. Such smaller groups motivate and allow members to initiate activities, as well as to connect with and mobilise others with similar interests. Organising interest-based activities - both professional and leisure activities - is a way to effectively connect alumni. Again, the key message here is that we must remember to keep everything as relevant as possible for network members and appropriate for their given context. This is the case regardless of whether we are arranging social, charitable or networking events, or indeed, activities focused on keeping in touch with Denmark. Regular social meetings are important for keeping the network alive. Examples include regional social events such as monthly shared lunches or evening coffee meetings. Inclusivity: Everybody has an idea worth sharing and should be encouraged to express it. Participants share insights and learnings around effective communications on social media. Maintain frequent communication with members by keeping them updated on relevant news and ongoing network activities. In addition to social media tools and channels like Facebook, WhatsApp and LinkedIn, email correspondence and phone calls should still form a part of outreach and communications efforts in support of establishing closer connections and increased engagement. Communicate at all levels – locally as well as to the DFC DAN team to further amplify your message and reach. Establish a formal communications channel with Danish stakeholders to allow for regular and frequent sharing of alumni information, network priorities and ongoing activities. A good collaborative relationship should be established with the Embassy/Consulate in country. This will ensure that the national network is supported in its activities. The Network should in turn involve and inform the Embassy of its plans. Stay up to date and keep the network relevant by aligning your activities with the priorities of the Danish Embassy, national and bilateral objectives and private sector interests. Alumni must be able to make themselves available to contribute to, and collaborate with, key Danish stakeholders across all sectors as opportunities arise. Maintaining an understanding of strategic sector partnership interests will help alumni design activities that support the Danish Embassy in achieving its goals. As part of the above, it is important to ensure visibility of network engagement and to keep the Danish Embassy informed of planned activities ahead of time to allow for any potential contributions or feedback to be incorporated. The formal workshop programme was concluded with a visit to the Ministry of Foreign Affairs. As part of developing the annual alumni plan, include activities that involve and target Danish stakeholders. This could be charity events, business matching and knowledge sharing seminars. The network can offer voluntary community services related to alumni’s areas of expertise, such as health, business, research etc. Here it would be important to align such involvement with activities that are sponsored by Danish stakeholders. Where possible, knowledge and skills exchange can be offered across the network at an international level. Get support from the Danish Embassy’s trade council to facilitate introductions to the Danish business community. Cooperate with Danish stakeholders to co-organize business match-making events for Danish companies and the national private sector. Create a talent pool of qualified alumni and promote this to Danish companies in country. Gather insights on the labour needs of Danish organisations and companies, and ensure that the talent pool and DAN are kept informed of such information. Encourage the embassy to include alumni in events for visiting business delegations. This could allow for matching prospective prominent alumni with Danish actors in the same sector, channeling their expertise (as well as the local network) to potential investors. Inviting Danish stakeholders to participate in annual alumni events. This provides an informal setting for Danish companies and alumni to interact and explore opportunities for collaboration. Arrange thematic meetings focused on the business environment, sustainability or other subjects that are relevant to the alumni group. Explore opportunities for Nordic collaboration - volume matters! 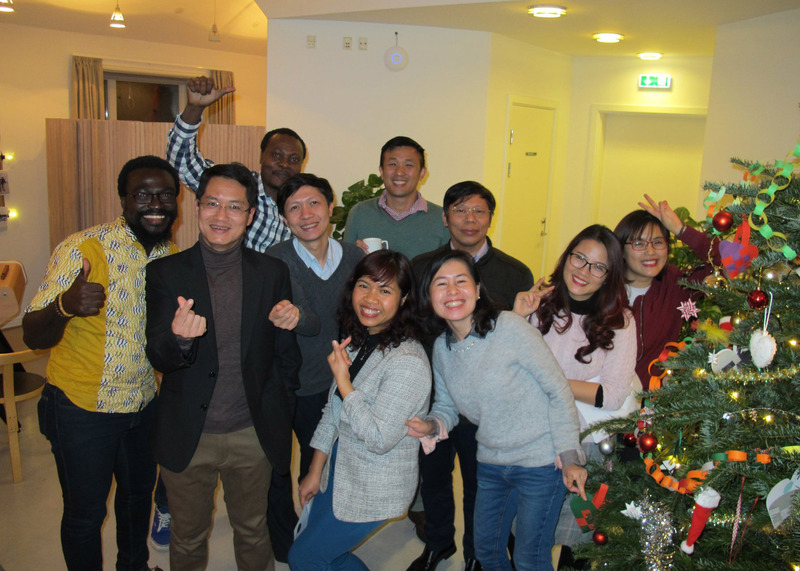 The workshop programme provided ample opportunity for informal networking, sightseeing and festive fun - including joining current Danida Fellows for the DFC Christmas party.